Orthodontic treatment can bring about dramatic improvements in the alignment of the teeth and facial appearance. Often, there’s a psychological improvement in self-concept and self-image. 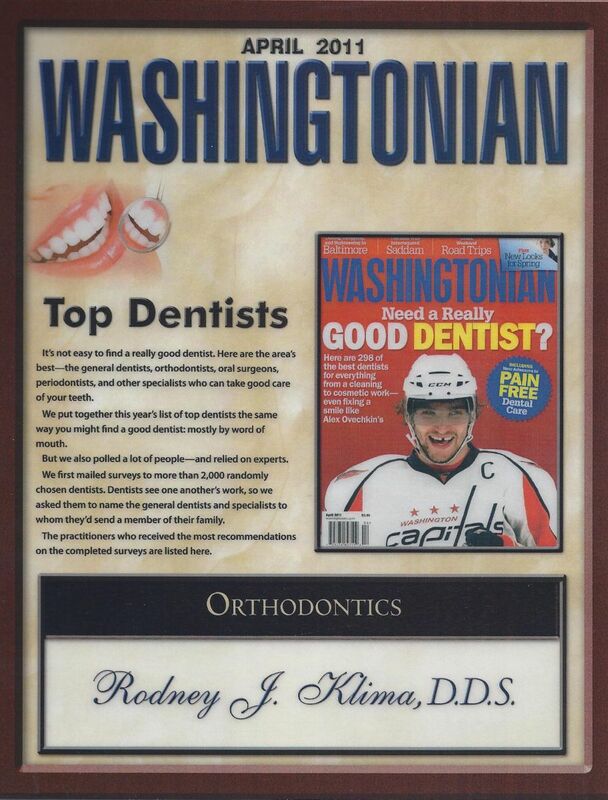 As an orthodontist, Dr. Rodney Klima is enthusiastic about what orthodontic treatment can accomplish. He enjoys working with patients to try to achieve the desired best results. 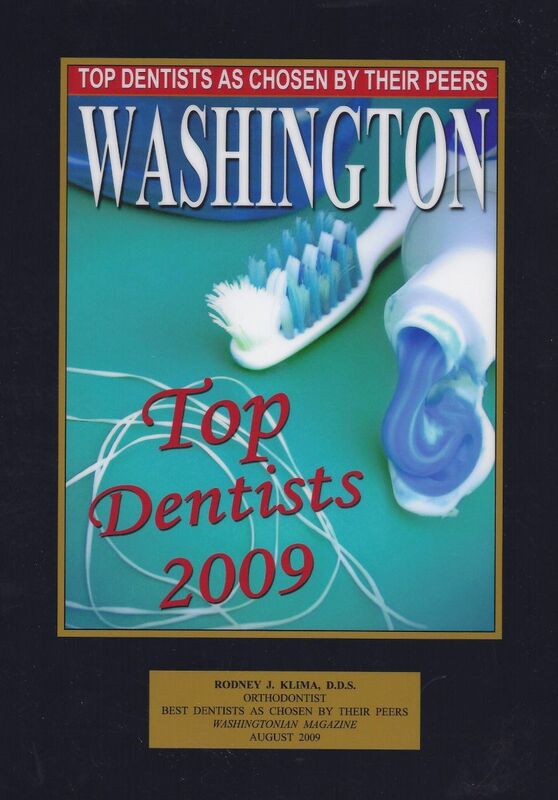 He chose orthodontics as his dental specialty because it can make a significant positive influence in a person’s life. 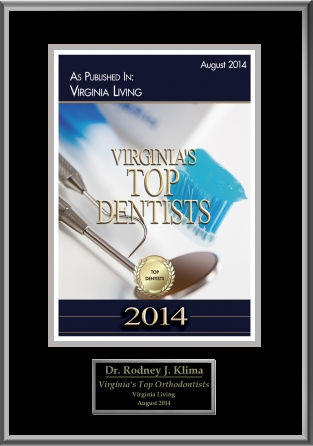 Dr. Rodney Klima graduated from William and Mary with a Bachelor of Science in chemistry. 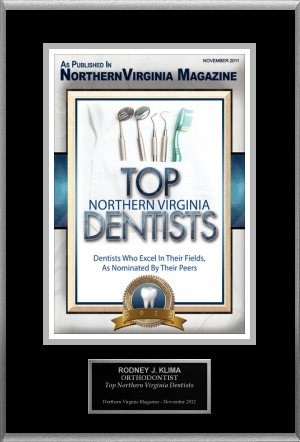 He completed both his Doctor of Dental Surgery and his orthodontic residency at the Medical College of Virginia, Virginia Commonwealth University, School of Dentistry in Richmond. 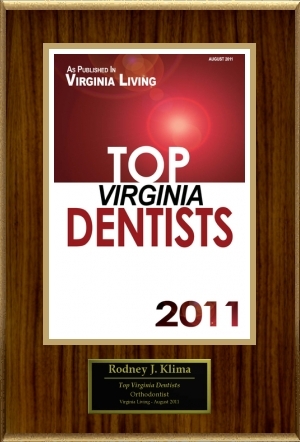 Before opening his private practice in Burke, Virginia, Dr. Klima served as an orthodontist in the military. When he returned to Virginia, he was a civilian consultant to the cleft palate team at Walter Reed Army Medical Center. He is a member of the American Cleft Palate-Craniofacial Association. Dr. Klima keeps current with the changes and new techniques in orthodontic treatment by attending continuing education courses every year. Using accurate diagnostic records, he offers the plan of treatment that best addresses each patient’s orthodontic need and the concerns of the family and the patient. Today, there are more choices in treatment and it is important to understand which approach will lead to the best results. At the initial consultation, Dr. Klima spends time with each prospective patient and parent, discussing treatment options, how long the treatment is likely to take, and how much it will cost. Dr. Klima treats both children and adults of all ages. 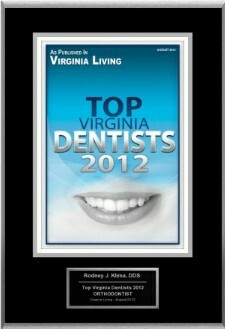 He uses the most current techniques and materials, including Invisalign®. 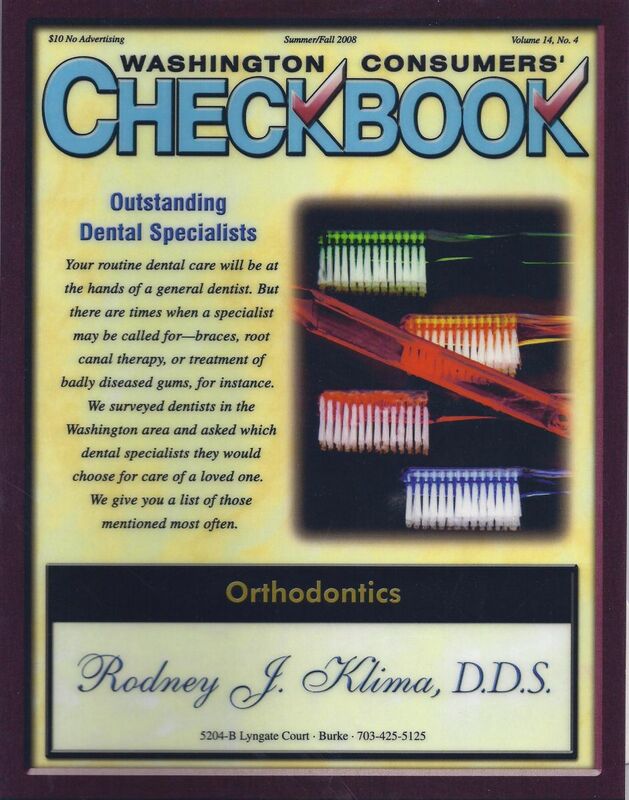 Dr. Klima is a Diplomate of the American Board of Orthodontics. He is a member of the American Association of Orthodontists, American Dental Association, Southern Association of Orthodontists, and Virginia Dental Association. 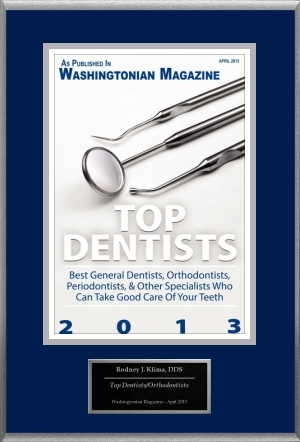 For many years, Dr. Klima has been chosen by his colleagues and peers in dentistry as one of the best orthodontists in Northern Virginia, as reported in Washingtonian magazine, Northern Virginia magazine, Virginia Living magazine, and Consumers’ Checkbook magazine. 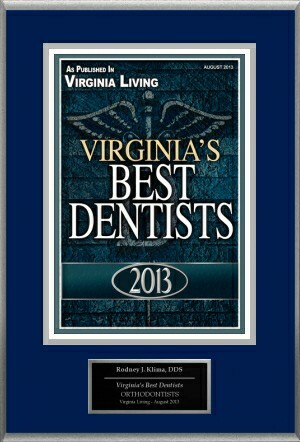 Dr. Klima grew up in Alexandria and has lived in Fairfax for many years. He and his wife met in college. His children attended Fairfax County schools and graduated from Woodson High School. He has volunteered as a youth coach and swim team official in Fairfax County. Dr. Klima enjoys following the progress of his patients in their sports and other activities. He is active in the local Northern Virginia Dental Society and has volunteered at many of the Mission of Mercy projects that provide dental treatment for people in need.